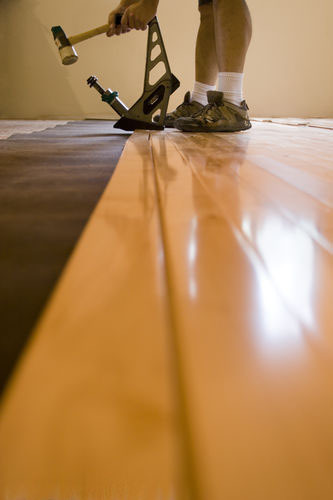 Yes, the time does come when sanding and resealing your wooden floor will no longer do. It may have been sanded to its limit, making a further successful job unfeasible. Or the floor may be too damaged or old to repair. Or - let’s face it - you’d prefer a perfectly laid new floor from the wide choice of timber and finishes now available. So come to us. We offer far more than sanding and restoration. Should you require a new floor, here at Sanding Wood Floors we offer the full range of services for wood floor installation. * the subfloor must be dry. Moisture is the enemy of successful installation. The flooring itself needs to acclimatise to the local moisture and temperature in your house. If you’ve ever seen bulging floorboards, it is likely that they were too dry when laid down. Keep the temperature to around 18C and the relative humidity 30-60%. 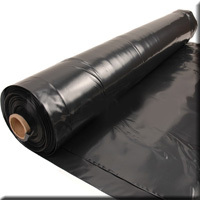 Covering the subfloor with a damp-proof membrane will protect against moisture. The subfloor must be as clean as possible: excess dust can not only create unevenness, but may react with the adhesive to prevent proper adhesion. The result? Deflected boards and loose flooring. We will seal off adjacent rooms; and remove or cover all furniture. 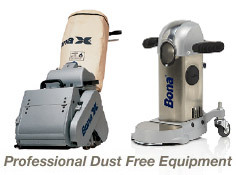 Although our installation equipment is almost entirely dust free, some dust particles will be inevitably released. * gluing down with a professional wood floor adhesive is the only way to install a wooden floor onto a concrete subfloor. And also when pipes need to be run below the floor. This method is also appropriate for parquet or deco / pattern floorings. * nailing down creates a deck-like style of floor. It works best with hardwood boards of about 3/4 of an inch. * stapling is an easier and quicker option. 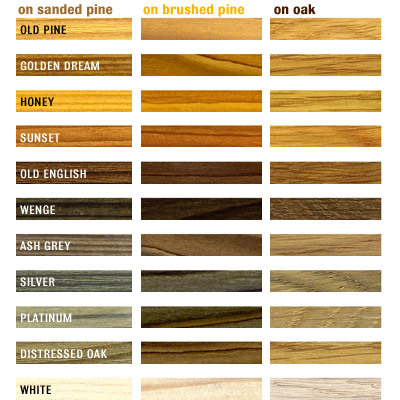 See our Flooring types and How to choose? Section for the floor materials we can offer and fit for you. 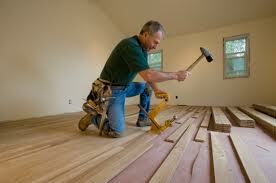 * a floating floor is laid directly on the subfloor – with no gluing or nailing. Most engineered wood and laminate floorings are fitted in this way, with the planks clicking together directly. As there i s no direct bonding to the subfloor, it is possible to install specific types of underlay - for sound insulation or damp insulation. Each plank connects to the others through grooves and tongues, much like the pieces of a jigsaw puzzle. An advantage is that this method allows for the installation of floors over surfaces that cannot be made perfectly flat. * the Junckers way is an alternative to floating floors. This type of installation is available only for Junckers wood floors. The company has invented a metal clip system which holds two planks together in a pair. It allows insulation for damp proofing or soundproofing to be placed below the flooring, regardless of the structure of the subfloor – whether concrete, battens or wooden flooring. The doors in the rooms concerned need to be removed and stored in a safe place until the floor fitting is complete. You also need to choose whether to have the flooring installed around the door trim - or get the door trim cut after its installation.